This has been a lousy week so I'm checking into my France Memory File (some place in my temporal lobe - is that right? Oh you know what I mean). Sometimes, dare I say it, during our visits to Paris, even we need to get out of the city for a few hours. Overload. Our brains and bodies just have to have a brief rest from the go-go-go mentality we fall into as soon as we arrive in France. There are plenty of places to visit a short distance from Paris, and we've enjoyed quite a few. One spot that lured us out of our beloved city for a day was Pontoise, situated about 20 miles northwest of Paris, on the right bank of the Oise River. Pissarro lived in Pontoise for 17 years and we heard the Musée Pissarro in the town had a wonderful collection of his prints so we went to check it out. 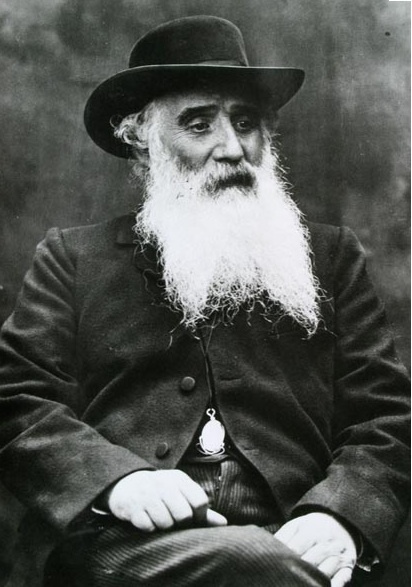 Pissarro was the oldest of the Impressionists, and is the only artist to have shown his work at all eight Paris Impressionist exhibitions, from 1874 to 1886. He was a friend to all the artists, well loved, respected and admired. I first became familiar with Pissarro not through the art work, but by reading “Pissarro’s Letters to his Son Lucien”. A prolific letter writer, he covers the news from home, the ups and downs, family problems, financial woes (lots of bitching there, especially from his wife), and his thoughts on the artistic community. Reading the letters is like living through the times. 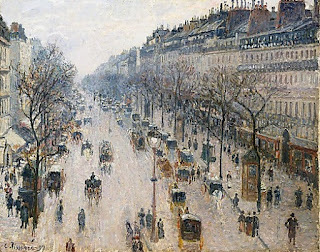 What if Pissarro's son Lucien hadn't gone to London for a bit and there was no correspondence? What would have happened if Pissarro, Van Gogh and Gauguin all had email? Too bad for us! 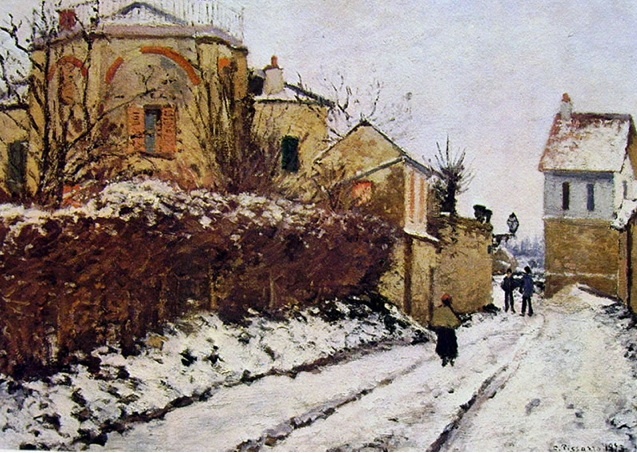 I know this post is about Pontoise, but just look at this painting of Paris! 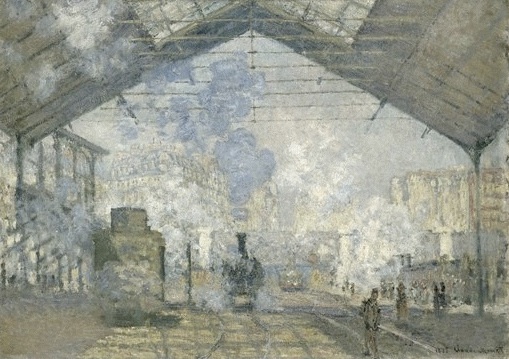 We left Paris from the Gare Saint-Lazare, which looks just like the Monet painting minus the steam. The French trains are so efficient. I know you've heard it before, but it's true. Visiting any of the small towns near Paris is easy as long as you study the schedule (including the return schedule please)! Watching the landscape from the train window was like watching one long Impressionist painting, right down to the poppy fields. Colour and composition, as if the Impressionists had designed the landscape for their own purposes. The museum itself isn’t flashy but if you like prints and drawings, and you like Impressionism, well, you can’t do better. We spent a glorious afternoon looking at the collection and enjoyed every minute of it. I read that this museum is more for “specialists” but in my opinion, it isn’t – it’s for people who love art, especially prints. If you want a nice day trip, not too far away from Paris but far enough to slow down for a few hours, Pontoise is a pretty and interesting spot to visit. Cathédrale Saint-Maclou de Pontoise, built in the 12th century and reconstructed and enlarged in the 15th and 16th centuries. Seems like a good idea for getting out of the city for a few hours or a day.